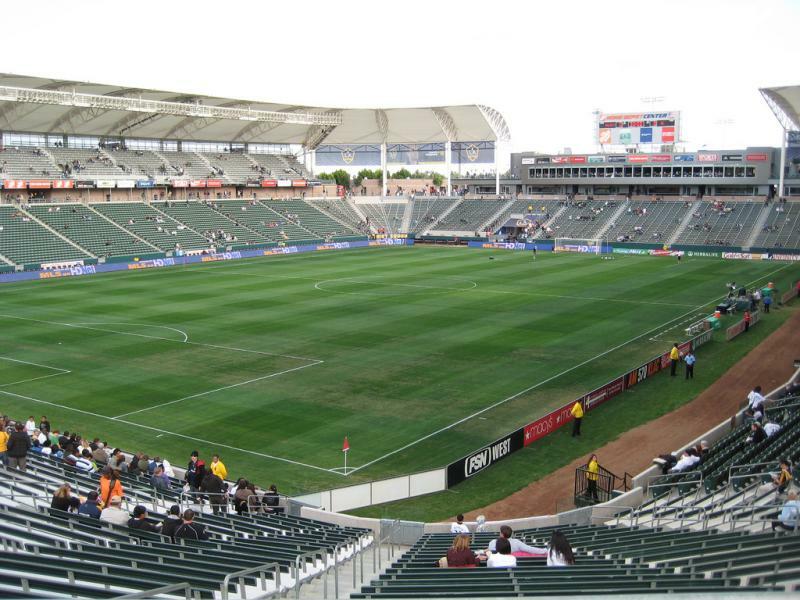 Stubhub Center, until 2013 known as The Home Depot Center, officially opened on 7 June 2003 with a match between the LA Galaxy and Colorado Rapids (2-0). It is the largest soccer-specific stadium in the USA. StubHub Center is part of a $150 million development that includes tennis, athletics, and cycling facilities. The stadium changed name to StubHub Center in June 2013 following a new naming rights deal. Until 2014, StubHub Center was the home of both LA Galaxy and Chivas USA, but then became the sole home of the former when the latter ceased operations. Los Angeles’ new franchise, LAFC, does not play at StubHub Center but instead at the new Banc of California Stadium. Since 2017, StubHub Center has been the home of NFL side Los Angeles Chargers while awaiting the completion of the new Los Angeles Stadium at Hollywood Park. 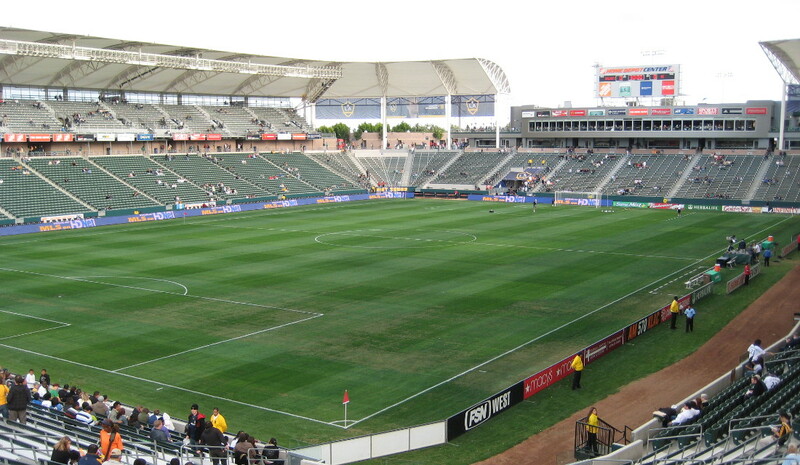 StubHub Center is located in the Los Angeles suburb of Carlson, just over 13 miles south of Los Angeles downtown. If arriving from the north (LA Downtown, Pasadena, Glendale), take the 110 Freeway south, and, about 11 miles south of Downtown, the 91 Freeway east. A little over a mile later exit at Avalon Blvd. Turn left onto Avalon Blvd and again left on Victoria Street. The stadium and parking areas lie on the right side of the road. If arriving from the north-west (LAX, Santa Monica, West LA), take the 405 Freeway south and exit for Vermont. Make a left onto 190th St. which becomes Victoria Street. Continue past Avalon Blvd. The stadium and parking areas lie on the right. If arriving from the south (Long Beach, Orange County) take the 405 Freeway north and exit for Avalon Blvd. Turn right (north) onto Avalon Blvd. and again right onto University Blvd. The stadium and parking areas lie on your left. Reaching StubHub Center by public transport is not easy. The best way is likely to take the metro silver line to Artesia Transit Center and take a bus or taxi from there. Bus 52, 205, and 246 pass by the stadium on Avalon Blvd or Victoria Street. The bus ride from Artesia Transport Center will take just over 5 minutes. Bus 52 connects the stadium directly with downtown Los Angeles, however the area the bus passes through is considered to be one of the least safe of Los Angeles, hence care should be taken especially at night. Tickets for LA Galaxy games can be bought online via axs.com. Tickets can furthermore be purchased by phone (+1 877 3GALAXY), or at the box office at StubHub Center. The box office also opens on the day of the match (until half-time) for ticket sales, though the Galaxy do occasionally sell out. LA Galaxy tickets cost between $30.00 and $86.50, though additional booking fees are high. LAGalaxy.com – Official website of the LA Galaxy. Stubhubcenter.com – Official website of StubHub Center. Discoverlosangeles.com – The official guide to Los Angeles. Metro.net – Los Angeles public transport information. Socaltransport.org – Public transport journey planner.